FX CEO John Landgraf made an appearance at the Television Critics Association press tour Monday morning and had quite a bit to say. Chief among the tidbits Landgraf dropped was the sad news that Noah Hawley’s X-Men offshoot Legion will be ending after its third season this summer. Landgraf said Hawley always envisioned the series as a three-season arc, and he’s following through with that plan in the final season, which lands on FX in June. If that’s not enough to bum you out, Landgraf also revealed that production on the third season of Donald Glover’s hit series Atlanta has been significantly delayed. The new season was expected to arrive in 2019 after the series was renewed last June, but now FX is predicting that Glover’s dark comedy will not return in time to be in contention for the 2019 Emmy awards. Landgraf did say the show’s writers are back to work on the new season, though, so rest assured that Atlanta is not at a total standstill. In lighter news, Hawley will have plenty to take his mind off the end of Legion as the fourth season of his Emmy-winning series Fargo goes into production this winter. Landgraf told the TCA that while he was unsure how long the series would last when it started, he’s happy to keep making Fargo indefinitely as long as Hawley is still interested. The fourth season will reportedly star Chris Rock as the head of a crime family in 1950s Kansas City. 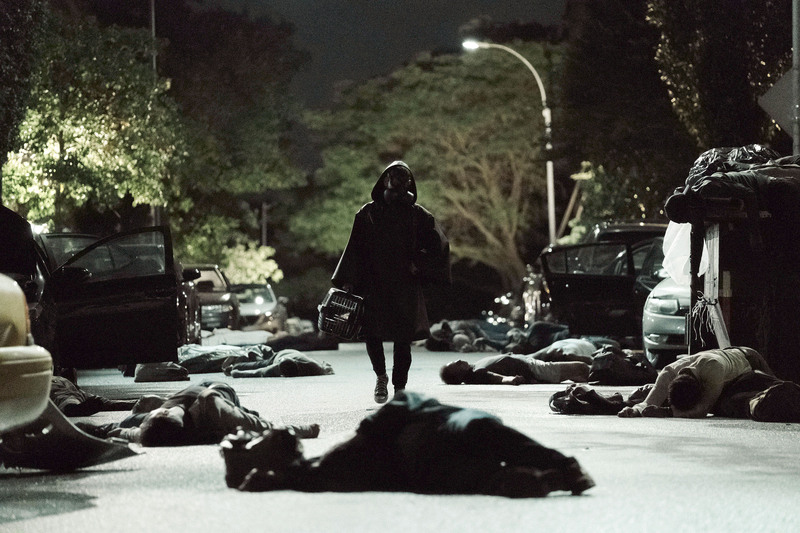 Elsewhere at FX, Presidents of Original Programming Nick Grad and Eric Schrier announced on Monday that the TV adaptation of the dystopian DC comic Y: The Last Man, titled Y, has been ordered to series by the channel. Y explores a post-apocalyptic world in which every male is gone except for one. The series will be run by Michael Green (Blade Runner 2049, Logan) and Aïda Mashaka Croal (Luke Cage, Turn), and executive produced by Green, Croal, Nina Jacobson, Brad Simpson and Brian K. Vaughan, one of the authors of the original comics. Diane Lane is set to lead an ensemble cast that includes Barry Keoghan, Imogen Poots and Lashana Lynch. See a first-look image from Y below, courtesy of FX Networks.